Are we the only ones who wonder this? “No Man’s Sky” was one of the most hotly-anticipated video games ever when it launched on Steam — a popular online gaming platform — in August. 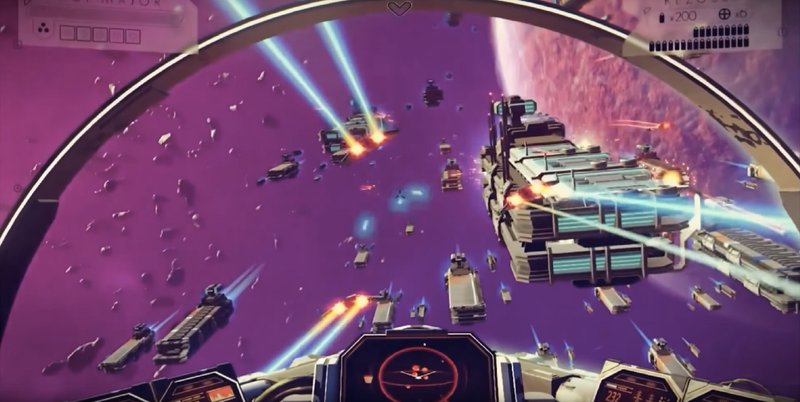 The excitement was fueled by the game’s trailer, which promised players they could explore hundreds of randomly-generated, unique worlds, populated by a menagerie of animals, where they could engage in massive space battles. The reality turned out to be quite different. Gamers complained of poor-quality graphics, dull, repetitive gameplay, and animals and spacecraft that didn’t behave as expected or were much smaller than expected. To date, 69% of the 81,081 reviews on Steam are negative. The UK’s Advertising Standards Authority (ASA) investigated the game’s developer, Hello Games, and Valve, which owns Steam, to determine if they’d made false claims. The ASA determined they had not. Previous games have become infamous for not living up to their trailer hype, including “WATCH_DOGS,” “Aliens: Colonial Marines” and “Call of Duty 2” — which pumped up expectations for the game console on which it was released, not just the game. It’s an open secret that trailers usually don’t reflect what the final game will be like. But why is that? First, let’s look at the three kinds of trailers. “Full CGI” trailers don’t make use of the game’s graphic engine at all. They’re simply rendered on a computer’s graphic design software. The trailer’s director can put anything they want in it. “In-engine” or “pre-rendered” trailers use the game’s graphics engine. So they should look like the game, right? Not really. The trailer’s designers can tweak any setting they want in the graphics engine: sound, lighting and so forth, and they can add pre-rendered scenes, too. This means they can create scenes that would never be possible in the game, or at quality levels most people’s computers wouldn’t even be able to handle. Finally, we have “in-game trailers.” These are created by running the game itself and recording it. Theoretically, the trailer designers are actually playing through it. But they can still tweak exposure and other settings, again creating scenes that don’t appear in the actual game, or that your computer isn’t capable of running. You might think there are strict laws governing when a trailer can be labeled “in-game footage” or “actual gameplay.” But like expiration dates on food, such tags aren’t tightly regulated. Angry fans filed a class-action lawsuit against developer Gearbox and publisher Sega over “Aliens: Colonial Marines” in 2013. The case revealed lots of juicy trade secrets about how games are marketed. Game news site Polygon even went over the trailers shot by shot and compared them to footage from the actual game, which revealed itself to be of a lower quality than the trailers showed. But because the game was marketed with a number of trailers and demos, “some of which may have been misleading and some of which weren’t,” Polygon’s Brian Crecente wrote, the judge decided that there was “no reliable and manageable way to figure out who was misled and who wasn’t.” The judge dismissed the suit. It’s also not always a case of game companies trying to mislead buyers. Often, in the multiyear development of a big-budget, or “triple-A,” game, budgets must be met or cut and features that were originally planned don’t make the final game. There’s also the fact that many trailers are created not by video game developers, but by people from the film industry, including famous names like David Lynch or George Romero. The argument goes that the trailer is meant to create excitement around the game, or highlight an aspect of the game’s backstory, rather than provide a true picture of the final product. These days, of course, we have lots of other ways to see what a game is really like before buying it. The popularity of consumer reviews and “Let’s Play” videos on sites like Twitch and YouTube — where, post-release, you can see the whole game being played — have become very powerful unofficial marketing tools. Three months after its release, the developer of “No Man’s Sky” updated the game to address complaints. A Polygon reviewer writes the update may be “too little, too late” for many disappointed buyers and calls the tweaked game “alternately delightful and frustrating.” Further updates are planned. At any rate, if history is any teacher, buyers may want to take trailers with a grain of salt — and, at the very least, watch a Let’s Play before deciding to spend their money on a game.